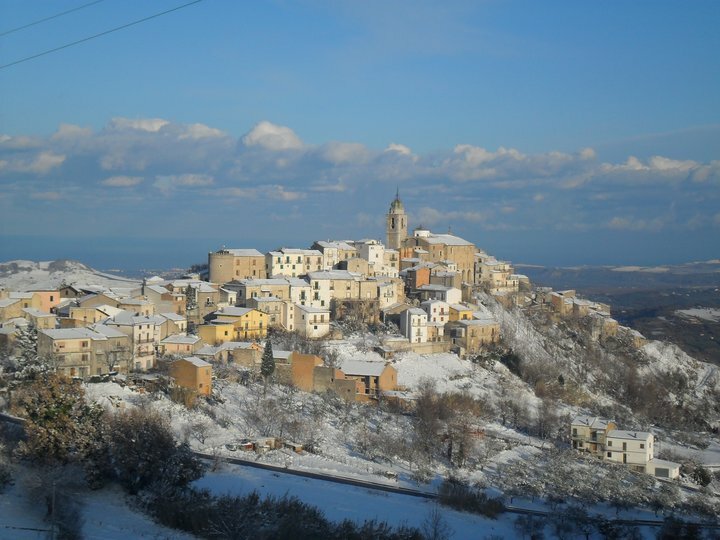 Furci is a town in the Province of Chieti in Italy, located on two hills, in the countryside, that is only about thirty kilometers from the Adriatic Sea. 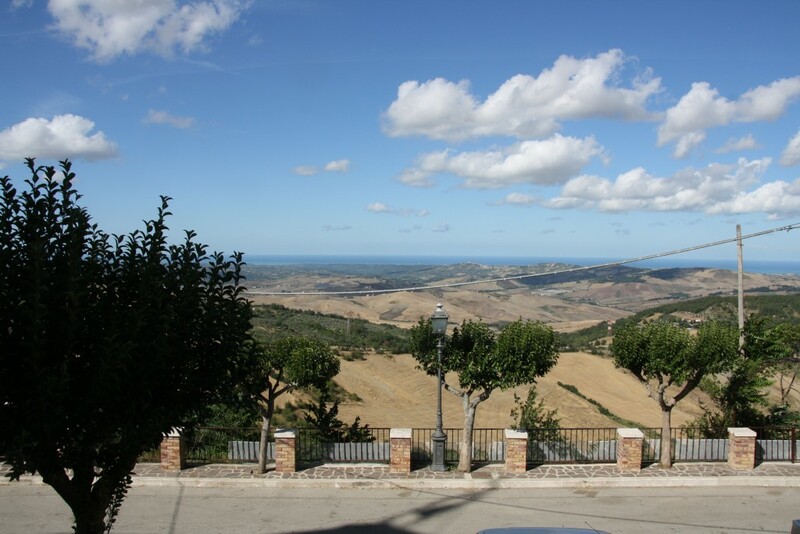 Easy reacheable are also Maiella Mountain and the beautiful Apennines of Abruzzo. Furci has ancient origins, as shown by the numerous archaeological remains found in the districts of St. Mary, St. John and Moro hill: jewelry and coins from the Roman period dating back between the 1st century. B.C. and the 2nd century. A.D.
On the Moro hill there are also remains of Saracen Walls which tradition wants so-called because they belong to an ancient monastery that was destroyed by the Saracens. It seems that only for a miracle the city did not suffer the same fate: it is said that after bringing down the convent, the Saracens headed Furci with bloody and destructive intentions, but were dissuaded by the thick fog and the hollow sound of the bells. 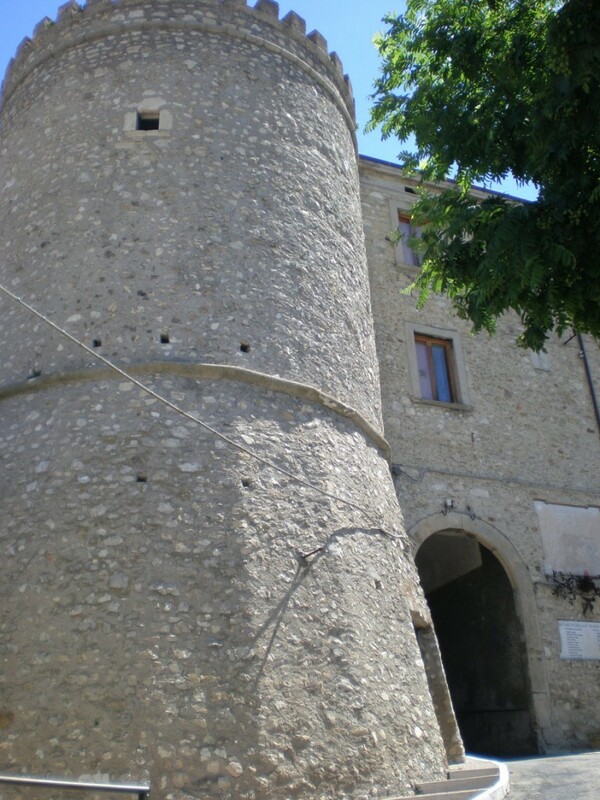 From the village you can admire the medieval tower located at the entrance of the historic center. This tower is connected to a noble little palace. The base of the tower dates from the thirteenth-fourteenth century, while the upper part dates from the fifteenth century. The cylindrical tower is made by irregular shape stones and has a crenellated cylindrical in stone as well. The base, made of stone blocks, seems back in the thirteenth and fourteenth century, while the rest of the tower to the fifteenth century. The tower is connected to a noble mansion (completely renovated) and side the entrance door to the historice center. 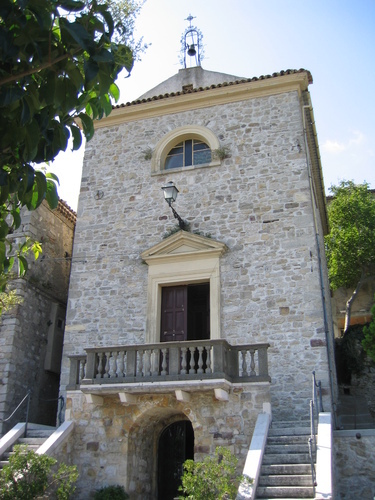 The Church of Saint Sabino is located in Via Cesare Battisti. 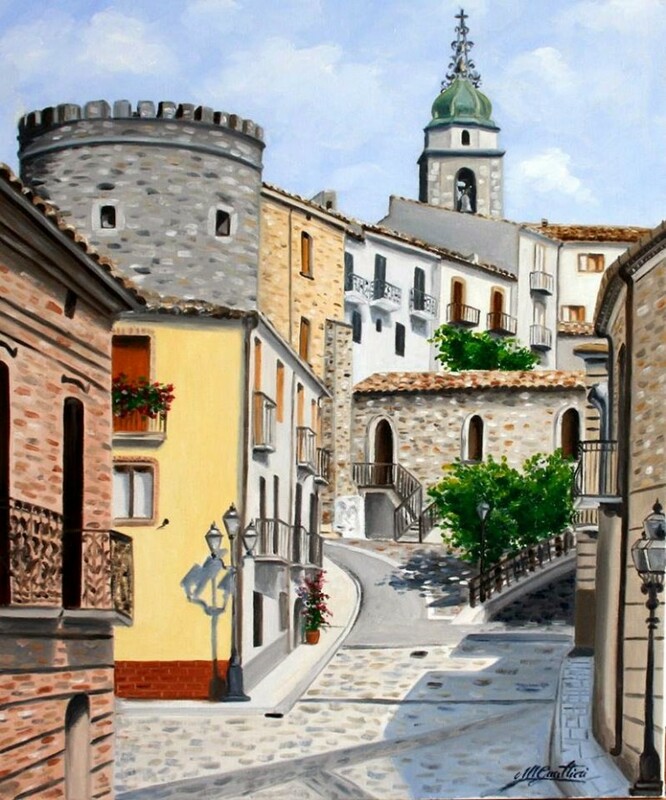 It dates back to a period prior to the seventeenth century and has been transformed in the XVIII-XIX century. 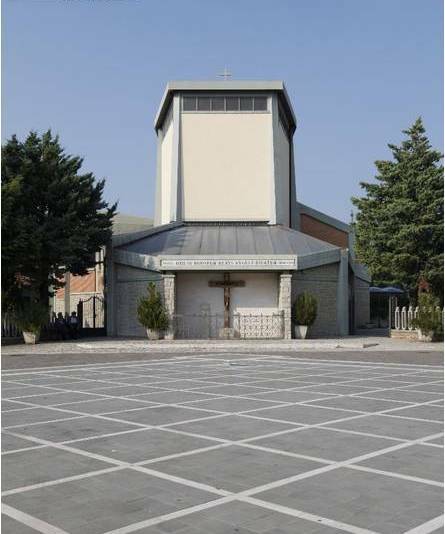 The religious building is placed on a base with style classic gabled. The facade is plastered, decorated with stucco and pilasters. The bell tower is made of stone and consists of a quadrangular base, it is also divided into several levels of cornices and dome bulb covered with glazed tiles. The interior has three naves. In the nineteenth century it was added the side chapels and a small dome. The Sanctuary is located in piazza Beato Angelo. 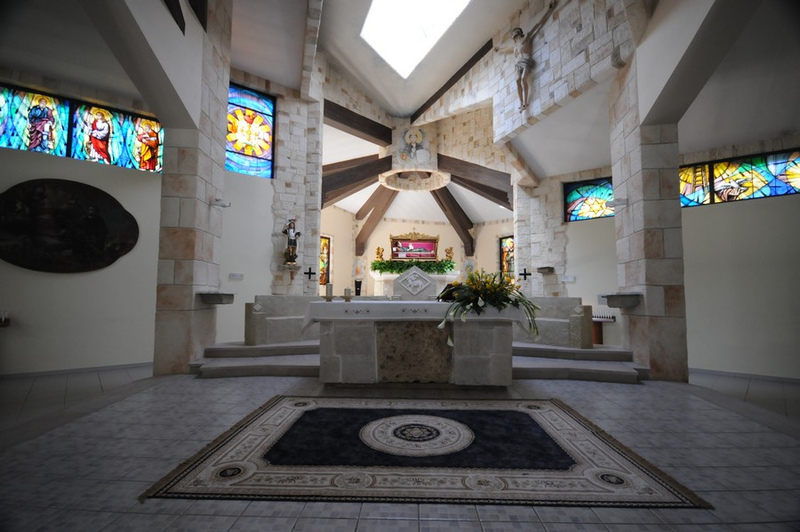 Newly built, was consecrated in 1993. The outisde is characterized by two side entrances and by the large garden to accommodate the faithful. Inside there are the remains of Beato Angelo. 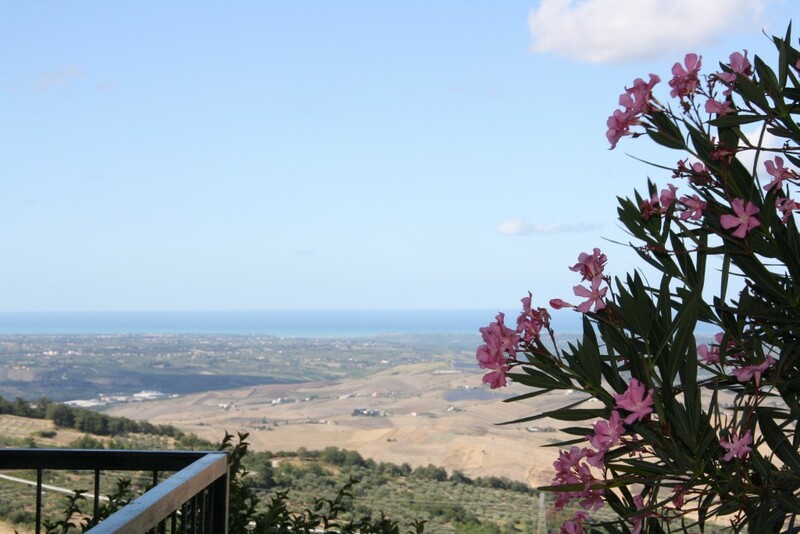 The cult of Beato Angelo is strongly felt not only by Furci but also by the inhabitants of neighboring villages, who come to worship in the days of celebration organized in his honor: 6th February, 17th May and 13th September. 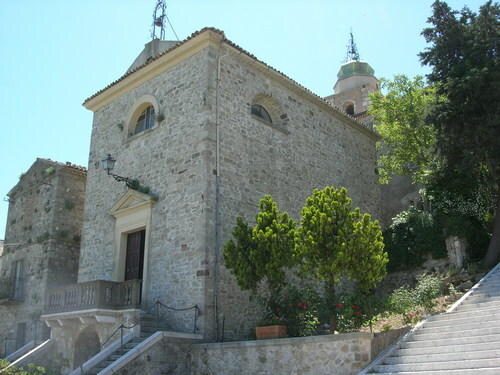 Beato Angelo was born in Furci (Chieti) in 1246 to wealthy parents, who, being sterile, had him (according to tradition, on which the rest are based all the news of his life) for the intercession of St. Michael the Archangel, to whose sanctuary, not far above the Gargano, they had gone in pious pilgrimage. In baptism she was named Angelo. 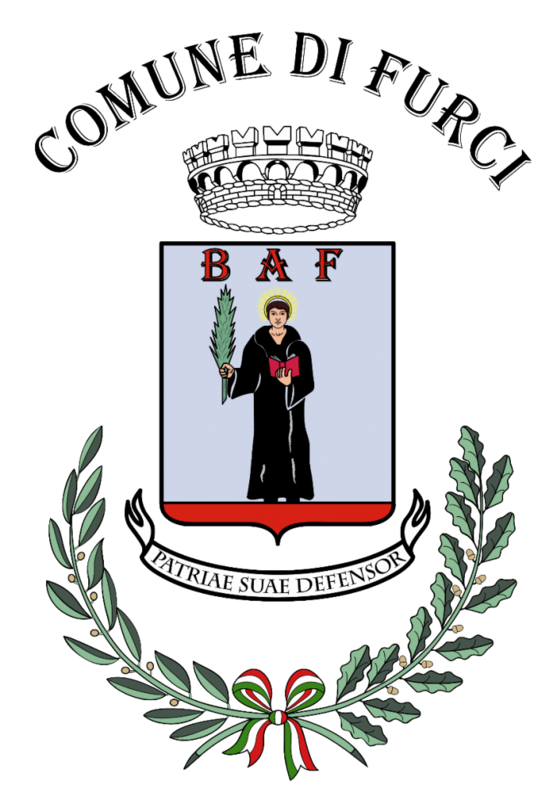 Exemplary educated by the parents, was later given to a maternal uncle, Benedictine abbot of Cornaclano in Furci, with whom made rapid advances in both science and holiness. When the uncle died, Angelo returned to Furci. 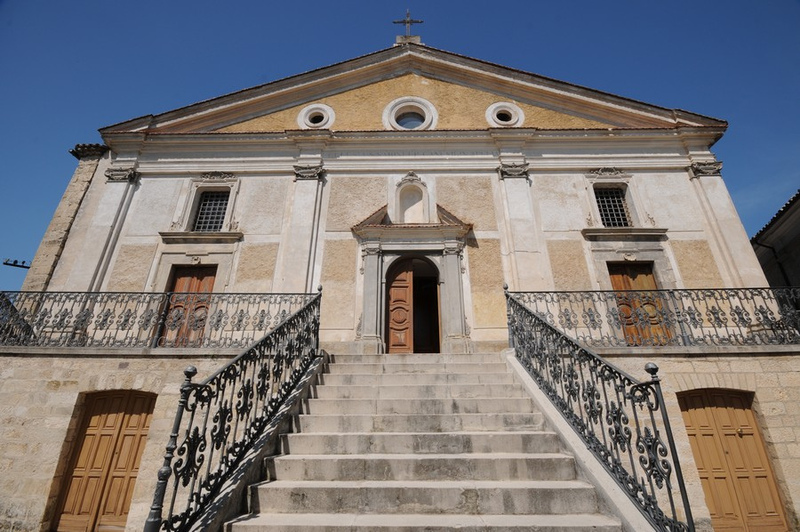 After his father’s death, he went to Vasto, where he entered, in 1266, among the Augustinians, with whom he studied regulations and ascended to the priesthood. When was twenty-five was sent to study at the Sorbonne in Paris, where he stayed for five years. Back in Italy, he taught in various monasteries, until he was sent to study Augustine of Naples, from where did not move again until death. He distinguished himself as a theologian and orator: indeed, historians give him a commentary on St. Matthew and a collection of sermons, that today we do not know where they are stored. In 1287 he was elected Provincial Prior of the Province of Naples. For humility he renounced the episcopal appointments of Acerra and Melfi. 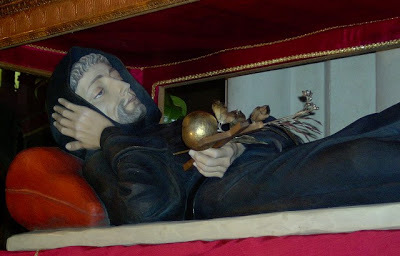 He died in Naples, February 6th, 1327, in the convent of St. Augustine where he was buried. The people, who already worshiped him alive as a saint, he began to commend him, obtaining favors and graces. Later he was attached to the patron saints of Naples and celebrated on February 6th and 13th September. Great is the devotion to him also in Furci, where in August 1808 his body was shifted. The 20th ofDecember 1888, Pope Leo XIII approved the immemorial cult. His feast day is on February 6th. 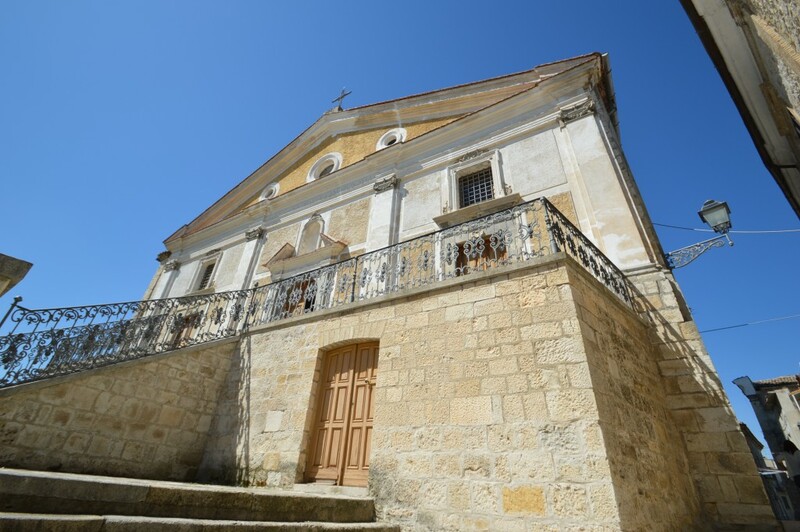 In addition to those currently existing in the village there were other religious buildings as the church of Our Lady, which was destroyed by the landslide of 1935, and the St. Sebastian’s Church, and of Purgatory near the bell tower. One of the themes in which the popular imagination is the most prolific is that of brigandage which, it is said, had in the countryside of Furci, one of his strongholds. In the woods of Furci called “the bushes”, there is still a cave called “den of robbers” which of these was the hideout. 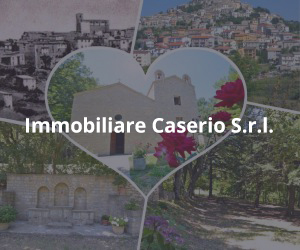 The underground gallery that opened in this cave seems to come to the Church of S. Sabino. The birthplace of Beato Angelo is located in Via Casa del Beato Angelo. 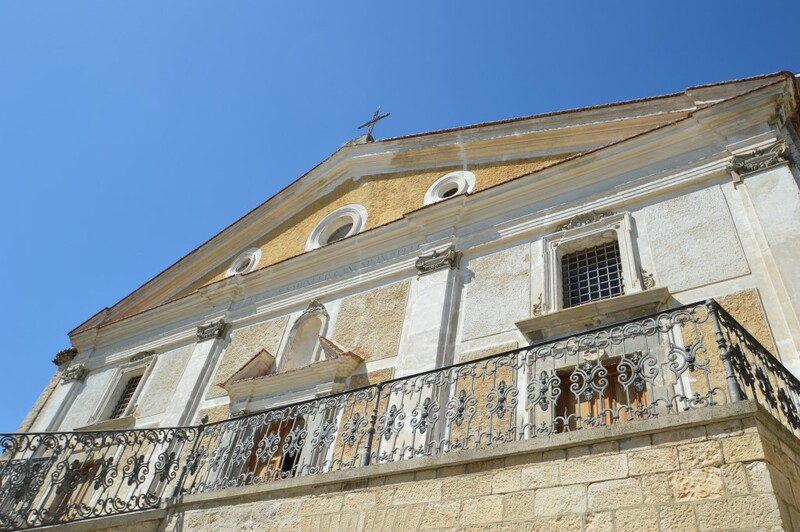 The church on the first floor was recently renovated. A description or the recipe will never make the idea. Taste one .. In the mixture are present the eggs instaed of wine and is different and the type of stuffing. Calcinetti. Typical of the Christmas period. 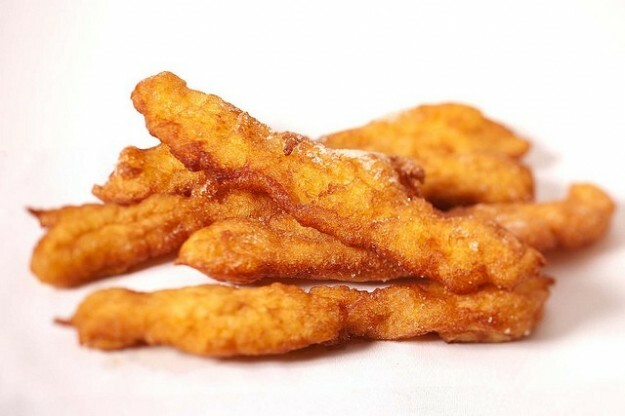 Fried treats crescent-shaped. The traditional are stuffed with chickpeas, but there are delicious variations stuffed with almonds, cottage cheese, jam. Typical sweet of Carnival. 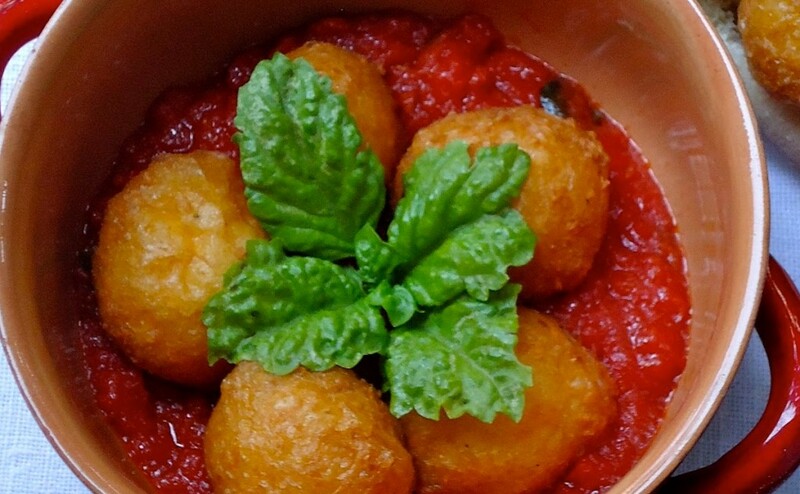 From pasta balls are obtained that are fried in olive oil. Then are drained and sprinkled with boiling honey and almonds. They are arranged in a pile. Honey, once cooled, make compact the whole. 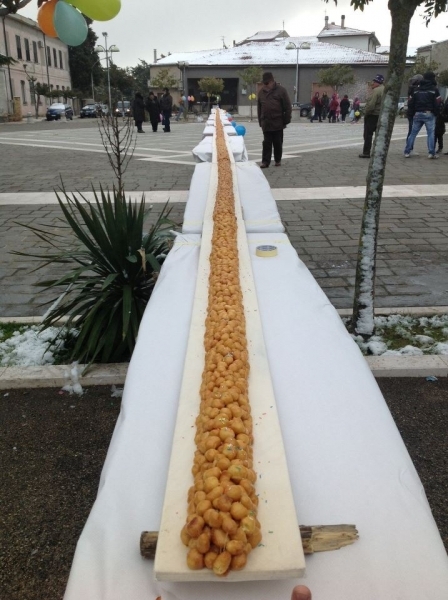 In 2010, during Carnival, it has prepared a cicerchiata of 20.81 meters. Guinness Book of Records. 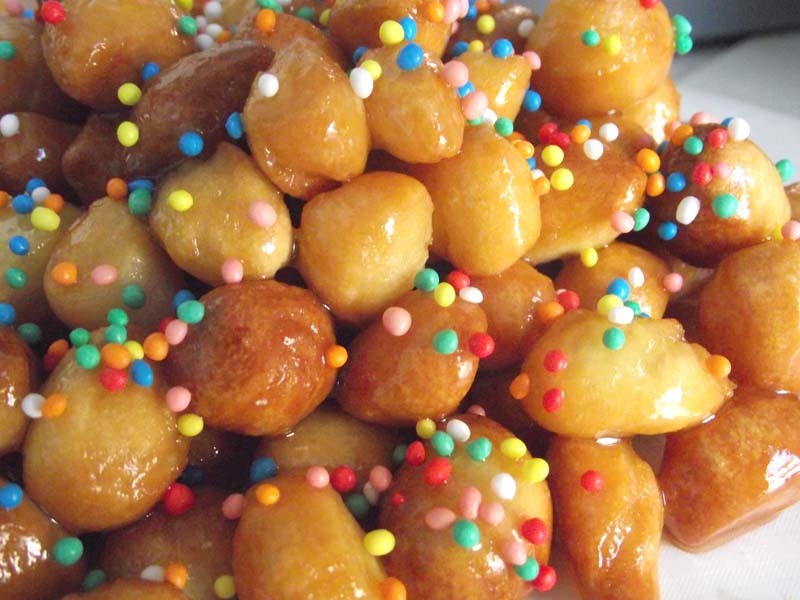 During the celebrations of Beato Angelo (6th February, 17th May, September 13th) are prepared these sweets made with eggs, sugar and flour. 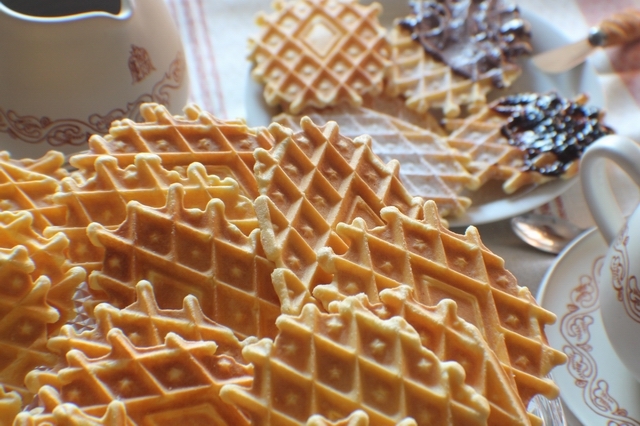 Desserts made with eggs, sugar, flour, oil and with a typical iron (a kind of clamp) that must be put on the fireplace or on the stove. 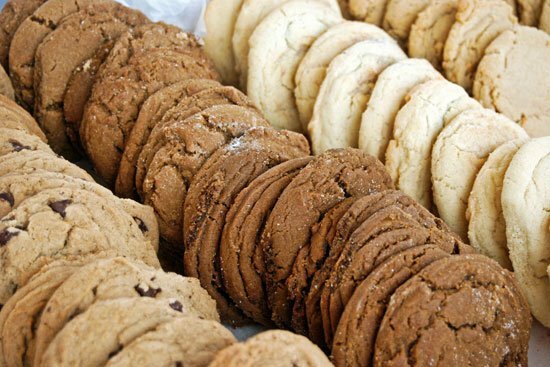 Are the traditional cookies: different shapes and with different mixtures, but mainly egg, flour, sugar and almonds. 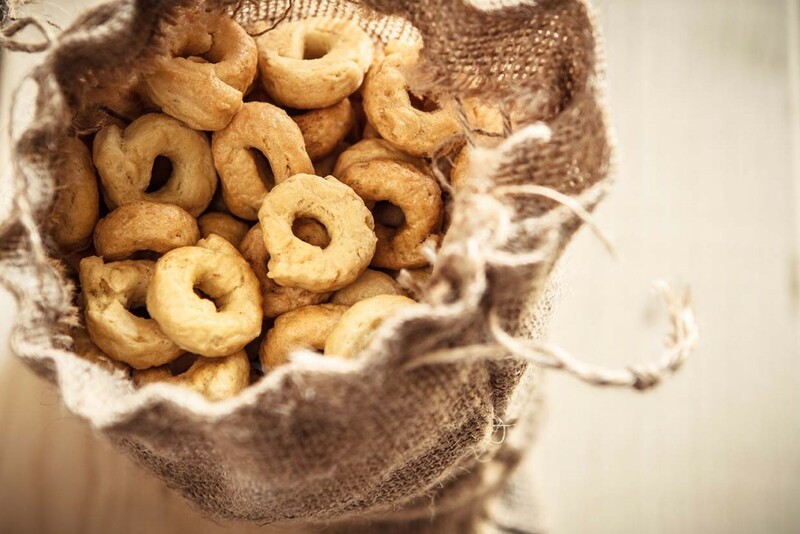 We already mentioned there are Celliripieni, Mustaccioli, Bocconotti, Serpentine, Cutted Biscuits, Ugly and good, Handkerchiefs, Truffles etc. 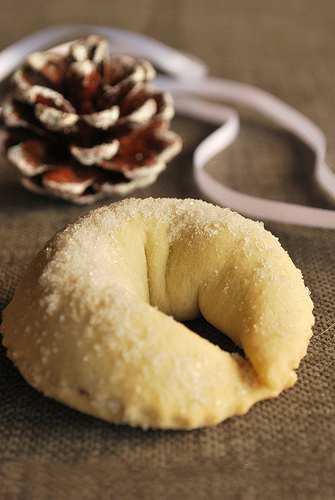 Leavened dough made of flour, potatoes, eggs, rosemary water then fried giving the typical elongated shape. Made with noble meat pork (shoulder, loin, leg) cut by knife. It is spiced with sweet and spicy minced pepper and fennel seeds. Stuffed into the bladders of pigs previously prepared, it is left to mature for at least four months before being consumed. 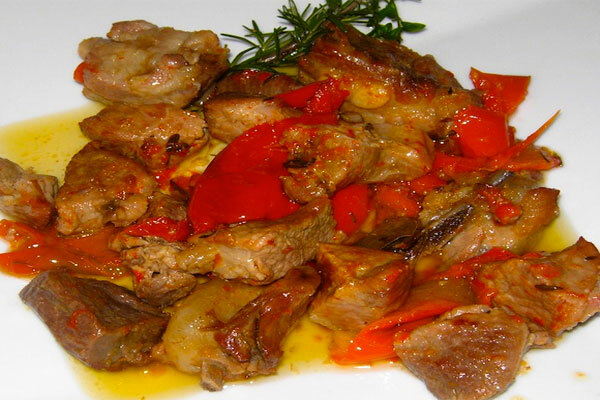 Bacon or pork cheek chopped sauteed in olive oil with garlic in shirt, rosemary and dried peppers (sweet or spicy). 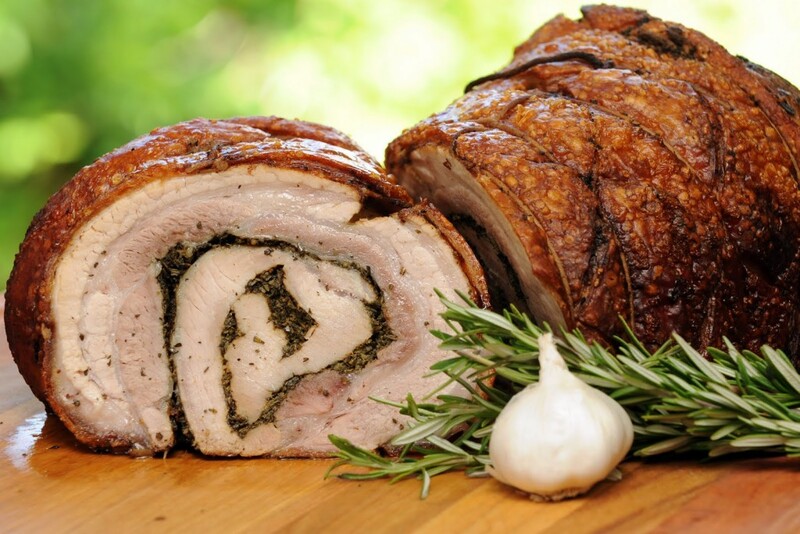 The small pig is cleaned from entrails, boneless, seasoned with spices, almonds, chicken livers and baked in a wood oven. 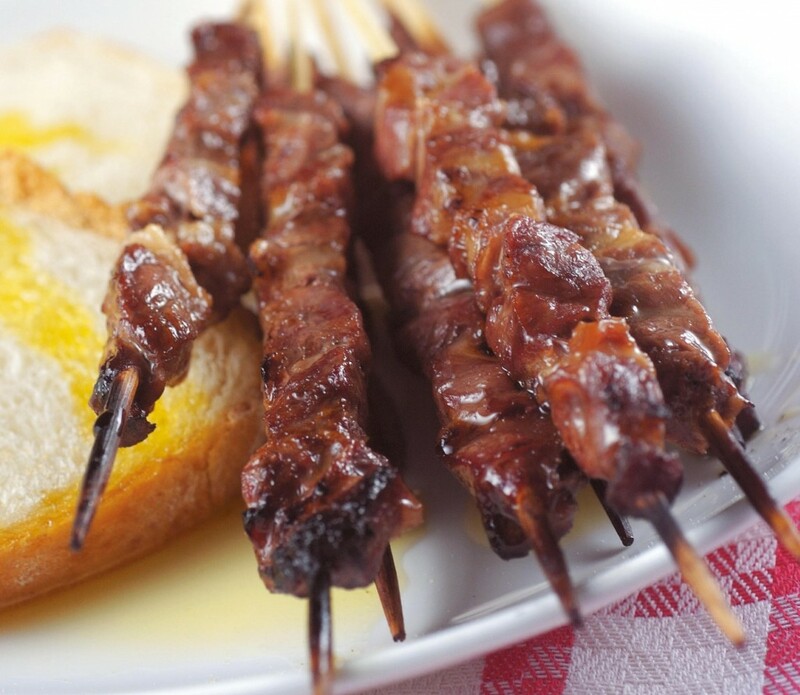 Sheep skewers grilled on a elongated characteristic brazier said “furnacell”. Only add salt. Meatballs which as the name suggests are made from cheese, eggs, bread crumbs, parsley, salt, pepper. They are fried and then cooked in the sauce. 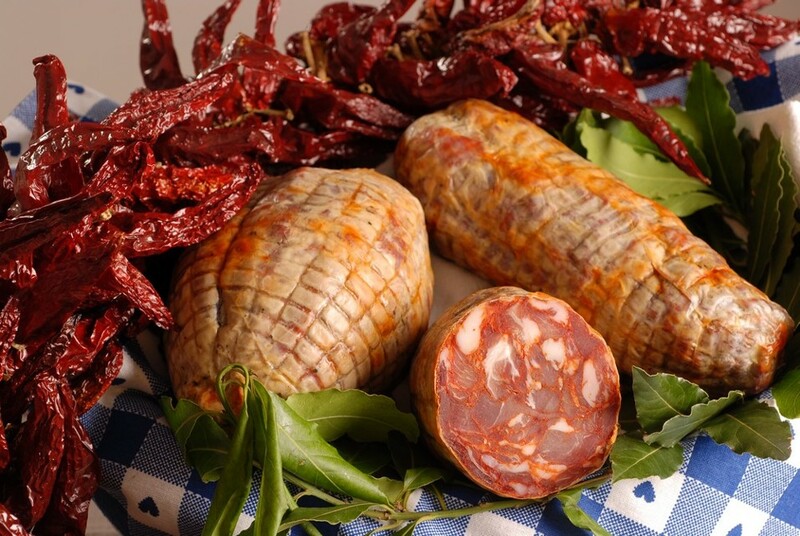 Made with fresh pork (loin or capocollo) cut in one piece. It is spiced and seasoned for at least four months before it can be consumed. Extra virgin Oil of olive. Color from green to yellow and strong taste. Produced from olives grown around the village. 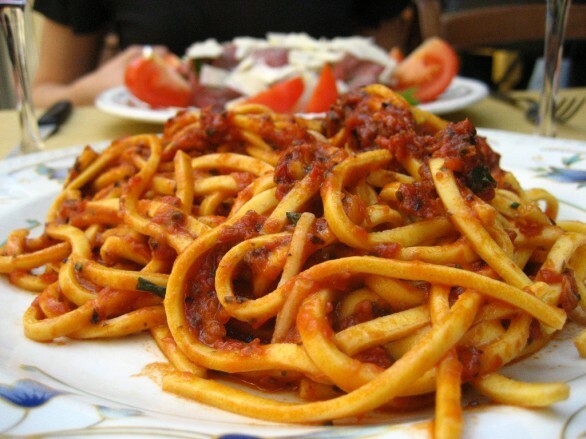 Fresh pasta “spaghetti alla chitarra”, “sagne a pezzzate”, “code di pecora” etc .. The dough made from flour, eggs (not for all types of pasta), water, a little oil, a little salt is worked long and pulled out the dough with a rolling pin. 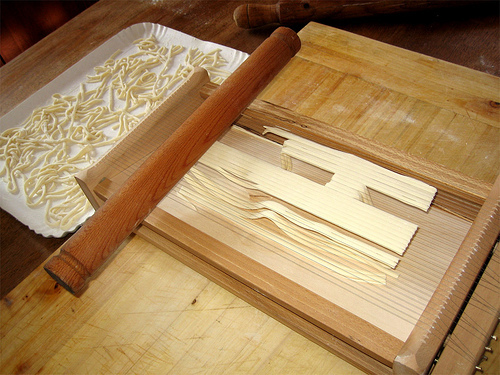 For the spaghetti the sheets of pasta (“the pettl”) are laid on the “guitar” and through the pressure of a rolling pin wires guitar cut out the dough.